When Lydia Wilbard was just 10 years old, her mother died. From that moment on, Lydia dreamed of becoming a nurse so that she could help to cure people when they got sick. 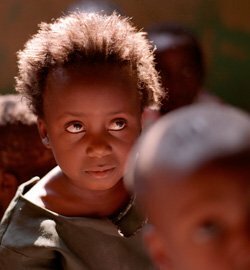 But growing up in a small village in rural Tanzania, her ambitions seemed like an impossible dream. Lydia was sent to live with her aunt who already had seven sons. Conditions were tough and Lydia had little time to go to school because she was too busy cooking, cleaning, collecting wood and washing clothes for her male cousins while they went off to school. When Lydia did manage to get to lessons, she was often punished for being late. Her punishment included more sweeping and cleaning, which made her miss even more lessons and left her too exhausted to study. Sometimes Lydia’s teacher punished her frequent absences by telling her not to come to school for a month. In spite of these obstacles, Lydia was the only child in her elementary school class to pass the exam to go on to high school. As one of the brightest students in her district, she was awarded a scholarship so that she could attend high school. 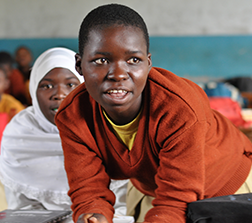 Lydia left the home of her aunt and cousins behind to study at Rugambwa Secondary School. Here she found that she was able to finish the domestic chores much more quickly than the other girls and had plenty of time to get on with her studies. However, poverty continued to plague Lydia throughout her school years, especially after the death of her father during high school. 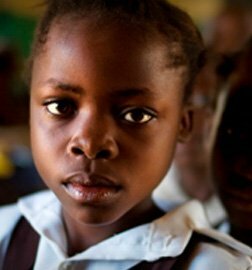 In spite of the government scholarship, she wasn’t always able to pay her school fees promptly. And when she was told that she wouldn’t be able to receive her Leaving Certificate if she didn’t settle her debts and pay $5 in exam fees, her dreams of becoming a nurse were almost in tatters. Using all the entrepreneurial skills she could muster, Lydia gave her friend $1.50 to buy some postcards when she went to the city. Lydia then sold them to her fellow students at a profit. Very quickly $1.50 became $70, and she had enough money to settle all her debts at school as well as buying shoes, clothes, a bag and her ticket home. 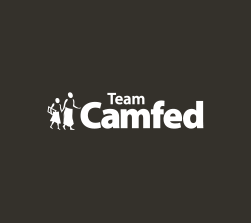 Today, Lydia is Camfed Tanzania’s National Director. 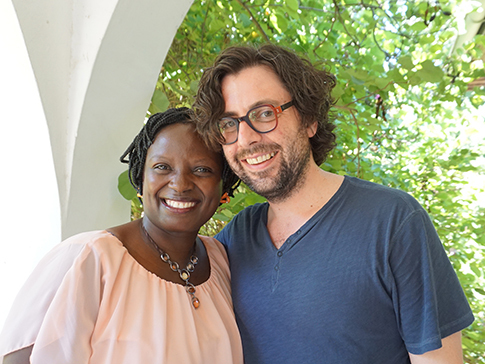 She has worked with Camfed since 2005 when she co-founded the Tanzanian chapter of Cama, the pan-African network of educated young African women. 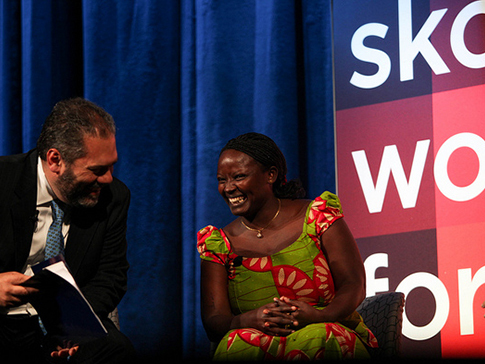 An entrepreneur and a specialist in gender, education and health, after graduating secondary school she completed her nursing training at Muhimbili University in Tanzania’s capital, Dar es Salaam, and was later awarded a competitive scholarship by the government of the United States in 2010, earning a Master’s of Public Health degree at Johns Hopkins University. Lydia returned to Camfed Tanzania in 2011 as Director of Impact, and her role was expanded to Co-Director in March 2012 and National Director in January 2017 in recognition of her exceptional leadership.